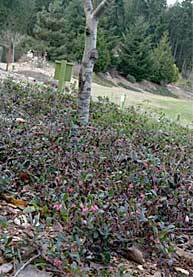 An evergreen groundcover to 8″ tall with small leathery alternate oval leaves. Trailing, long floxible rooting branches. Pink flowers in spring and bright red berries in fall and winter. 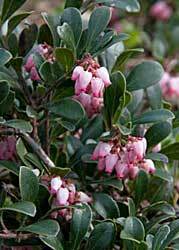 Found in sandy and well-drained soils from low elevations to alpine tundra.